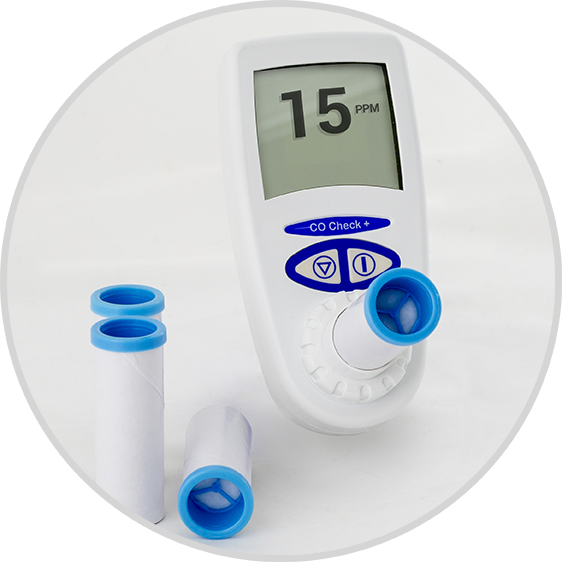 The H2 Check is suitable for all age groups of patients. Its principle use is for the simple diagnosis of Lactose, fructose or sucrose Intolerance. 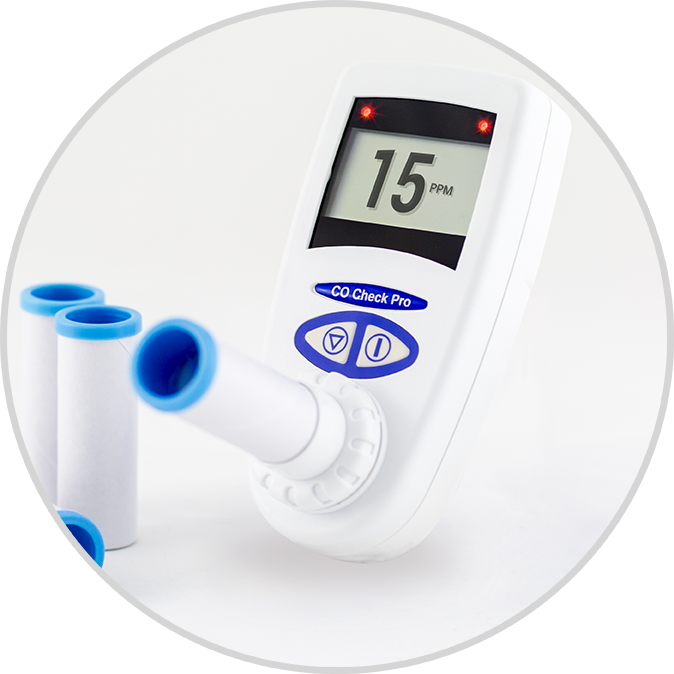 Hydrogen breath testing is a non invasive measurement of hydrogen on the breath, as a result of sugars or carbohydrates not being digested fully. Bacteria in the colon digest and convert sugars and carbohydrates into gases, the main gas being hydrogen. Under normal circumstances most sugars and carbohydrates are digested in the small intestine, however when this does not happen they then reach the colon where there are a larger number of bacteria and as such cause an increase in the amount of hydrogen being produced. As a result, the hydrogen that is produced by bacteria is absorbed through the wall of the small or large intestine. The hydrogen then travels to the lungs where it is released and exhaled in the breath where it can be meas-ured by the H2 Check. One of the most frequent hydrogen breath tests is for lactose intolerance. Lactose is a sugar found in milk and other dairy products. Unless it is changed into glucose it cannot be absorbed into the body. This change happens when the lactose passes through the stomach into the small intestine and comes into contact with something called Lactase. If there is insufficient lactase present the lactose cannot be broken down, this in turn leads to Lactose Intolerance. Bacterial overgrowth can also be determined using hydrogen breath testing, The number of bacteria is greatest in the colon but much lower in the small intestine. Also, the types of bacteria within the small intestine are different to the types of bacteria within the colon. Small intestinal bacterial overgrowth (SIBO) refers to a condition in which abnormally large numbers of bacteria are present in the small intestine, and are similar to the bacteria found in the colon. The new CO Screen, a rapid assessment of Carbon Monoxide poisoning for Emergency Services and First Emergency Responders. 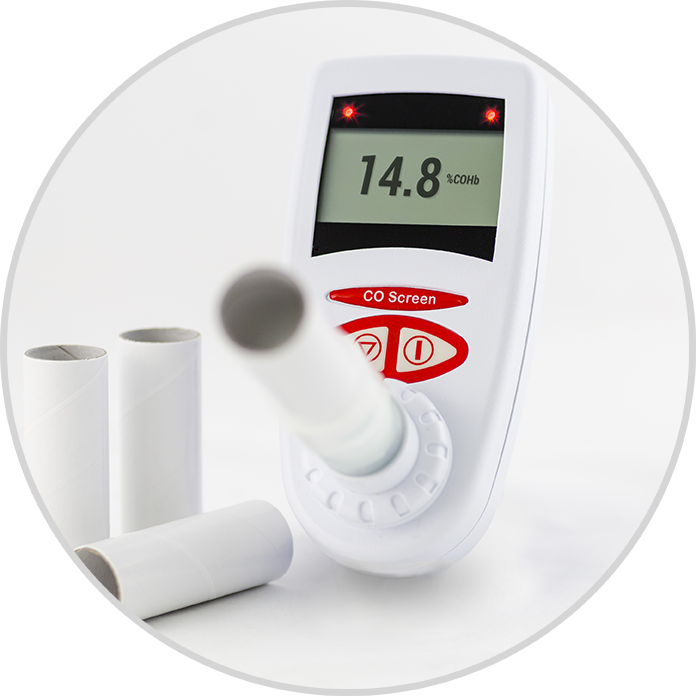 A single breath will instantly display results on the large screen in PPM and %COHb or Carboxy-haemoglobin, the amount of Carbon Monoxide attached to your red blood cells represented as a percentage. The CO Check + Baby has been designed to enable all healthcare professionals to carry out quick and simple breath tests on pregnant women that smoke and need help in quitting. 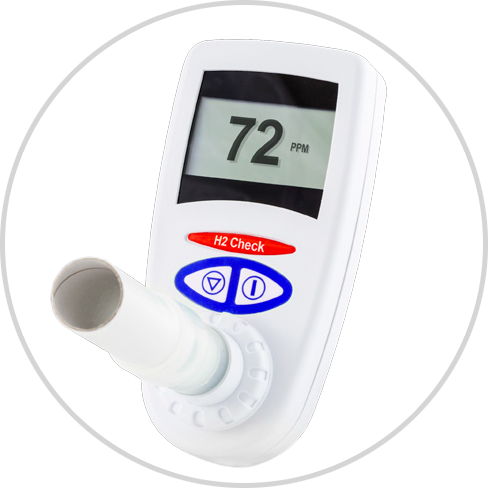 The H2 Check can be used on all age groups of patients. Its principle use is for the simple diagnoses of Lactose Intolerance. 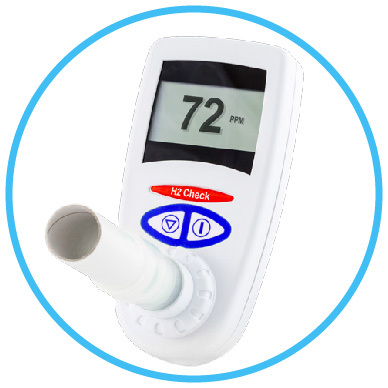 Using a special re-breathing technique, patients are required to simply tidal breath into the H2 Check for immediate results in PPM. 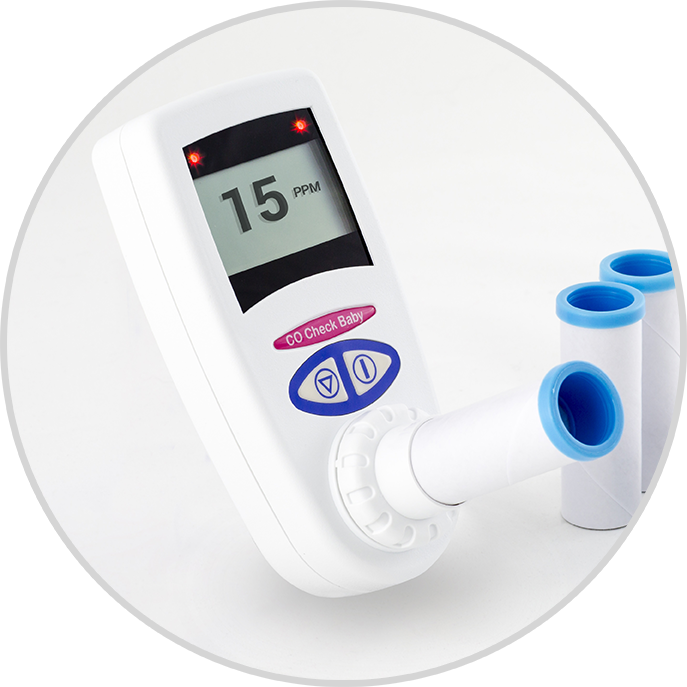 The CO Check Pro Baby has been designed to enable all healthcare professionals to carry out quick and simple breath tests on pregnant women that smoke and need help in quitting.